Home FLIGHT DEALS Fly to Las Vegas from Manchester for just £228 return! 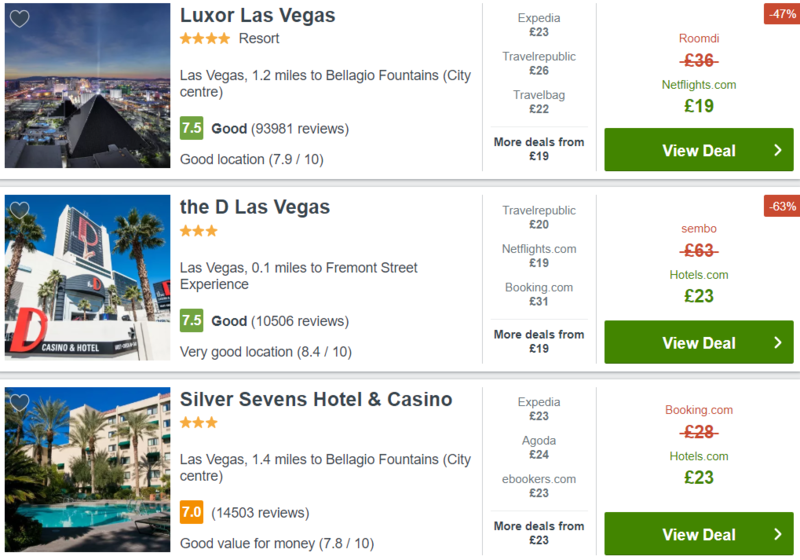 Fly to Las Vegas from Manchester for just £228 return! Cheap flights to the USA with American Airlines! Tickets from Manchester to Las Vegas – the gambling capital of the world and Nevada’s largest city – are on sale for just £228 return, with plenty of dates to choose from! Previous articleFly to Costa Brava from across England for just £26 return! Next articleBarbados from Manchester for just £400 return!